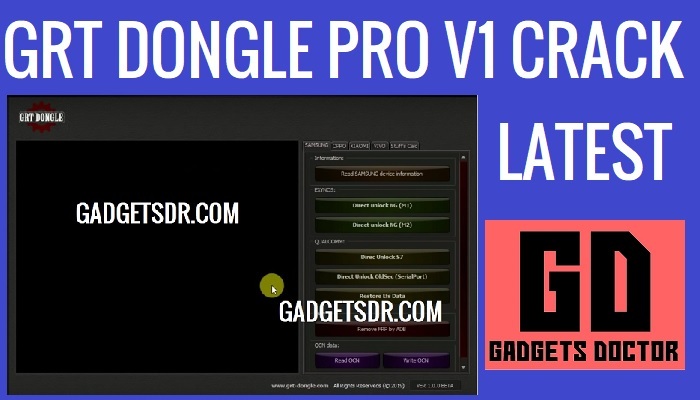 We share here to download GRT Dongle Pro V1 Latest With Loader from here, GRT Dongle is a small utility Android Multi-tool that helps to fix some software problems on your devices. GRT Dongle crack version is available now to download from here, GRT Dongle Pro V1 Crack is available only for the beta version it has some interesting features for your Android devices. it supports almost all Android devices in ADB and Fastboot mode, also supports Samsung devices in download mode and Qualcomm devices in EDL modes. here share with your latest Keygen file also to activate the GRT Dongle Pro V1 crack on your pc. we discuss some more features of this tool on below. First of all GRT tool maker done great work for us, this tool has the same features as RB Soft tool have. On this tool, you can also add one emmc files and try to remove FRP from your devices. also has some pre-add devices to remove FRP and Format your devices easily by just click on the Model column and then there you will see devices list and check the list if your devices have already added there then just select your device model from there if not then click on the browse and select then add the Emmc file then select what do you want. -Download GRT tool Pro V1 Crack setup. -Run the “GRT Dongle Pro V1 Crack_Loader.exe” from there. -Done, now wait a few secs to launch the Crack to your computer. then you use the tool. Thanks for visiting us, Comment below if you face any problem With Download GRT Dongle Pro V1 Latest With Loader, we will try to solve your problem as soon as possible. you can check other some tutorial here to help you.